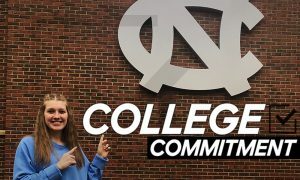 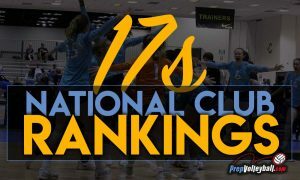 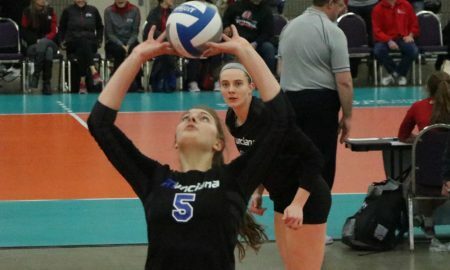 Legacy 18-Elite libero Hannah Grant is part of the 18s Mid-Season All-Americans. 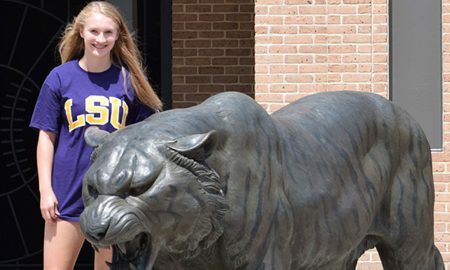 LSU commit and setter Maddie Waak is back for Hou Skyline 15 Royal this season and part of one writer's First Team. 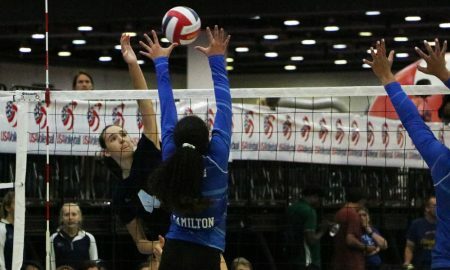 We saw Kathryn Randorf, a MB for AVC, at JVA Rock 'N Rumble and confirm her talents! 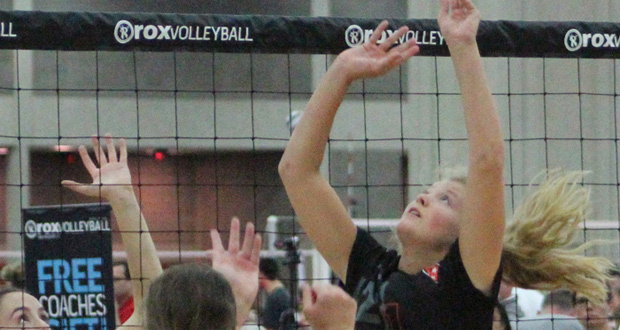 Rockwood Thunder 16 right side Jordan Iliff takes a spot on one writer's Pre-Season First Team. 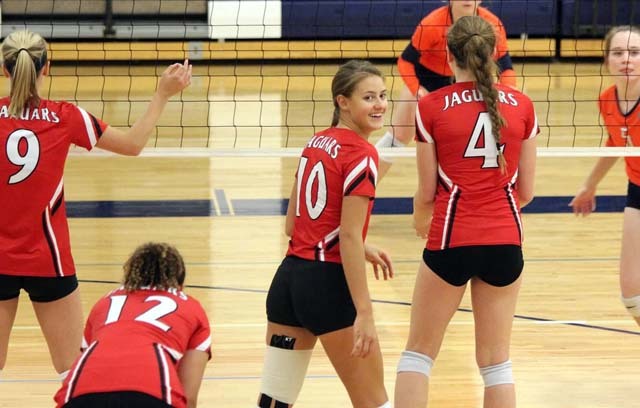 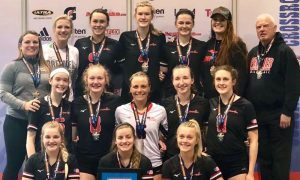 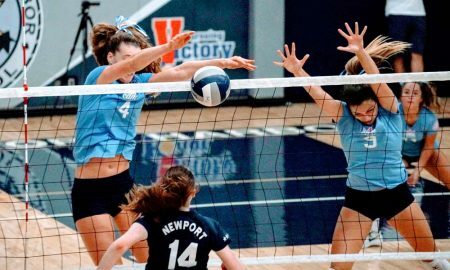 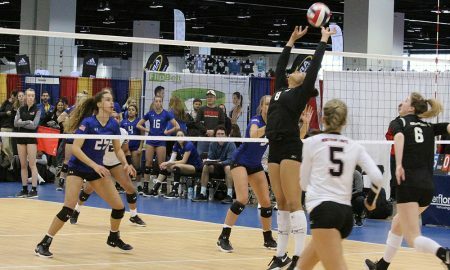 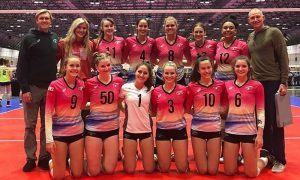 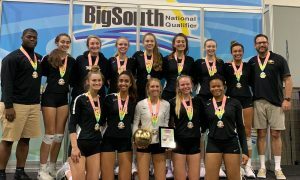 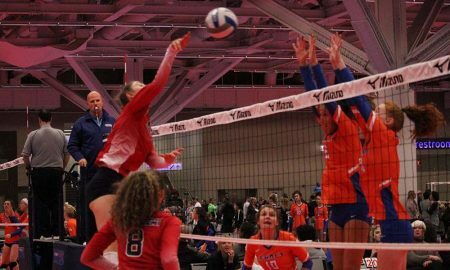 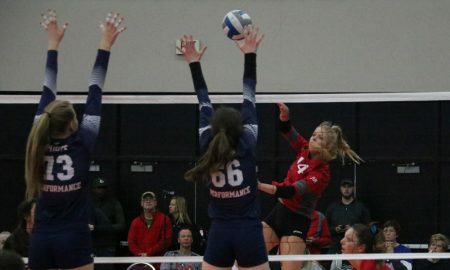 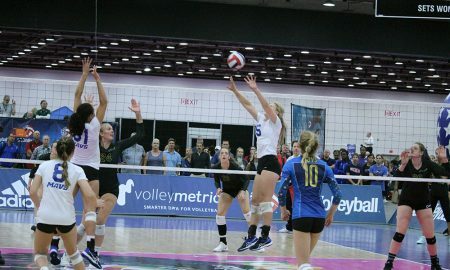 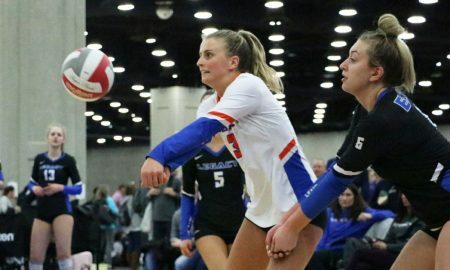 Asics KiVA 17s Red's Anna DeBeer (14), shown last year, is part of one writer's Second Team Pre-Season All-American list. 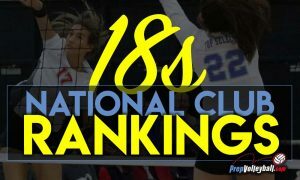 Munciana 18s Samurai's S/RS Melani Shaffmaster is a member of one writer's 18s Division Pre-Season All-Americans. 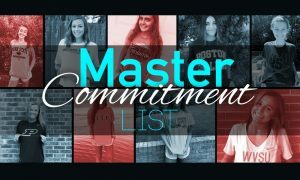 See how the lists from PVB's two writers stack up. 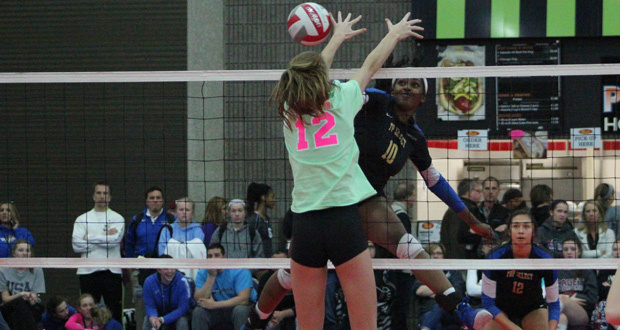 One writer shares his choices for the 18s Club All-Americans. 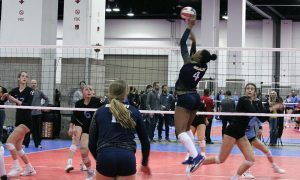 So many good players...Picking 18s All-Americans was tough!